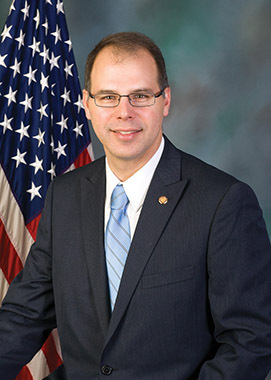 Rich Irvin was elected to the Pennsylvania House of Representatives on Nov. 4, 2014. He previously served as the Huntingdon County treasurer for 18 years. During the 2019-20 Legislative Session, Rich has been assigned to the following House committees: Agriculture and Rural Affairs, Insurance, Labor and Industry, and Local Government. Rich is pro-life and believes in protecting every law-abiding citizen’s Second Amendment right. He also believes in less government, holding the line on taxes, public pension reform for new hires, true property tax reform and supporting an educational approach that develops every child to his or her maximum academic potential. He graduated from Juniata Valley High School and earned a Bachelor of Science degree in accounting from Indiana University of Pennsylvania. Rich is a longtime member and past president of the Huntingdon County United Way. He is also a board member of the Center for Community Action, a human service agency serving Huntingdon, Bedford and Fulton counties. He resides in Spruce Creek Township with his wife, Jaime, and their children Brent, Emma, Bruce and James. The 81st Legislative District includes all of Huntingdon County; part of Centre County consisting of the townships of Halfmoon, Taylor, Worth, parts of Ferguson (North 2 and West), parts of Patton (North 2, South 1 and 3) and Port Matilda Borough; and part of Mifflin County consisting of Wayne Township and the boroughs of Kistler and Newton Hamilton.